Range Rover has always been a sign of luxury and class since it was 1st launched back in 1970 by Land Rover UK. Unlike many other luxury cars, Range Rover is still a head turner and gets noticed on road. This British iconic Range Rover is one of the most desirable cars around the worlds and its on life’s must have list of all the car lovers. Until recently, buying a Range Rover has been considered as buying a house for many. However, the global village approach has changed this perception and owning and maintaining a Range Rover has become affordable, as similar as owing any other regular vehicle available in market. When Range Rove is considered, a potential buyer should start their search from United Kingdom. UK being the home of the Range Rover is the best place to find high quality and various trim options Range Rovers. Automotive market competition in UK makes it one of the best places to hunt your dream car. Dropping value of pound sterling also makes it cheaper to import a Range Rover from UK, besides the fact that UK auto export qualifies for 20% value added tax refund when importing a Range Rover from UK. Second hand cars UK export companies do not share this hidden secret with the importers who want to buy second hand car UK for export. 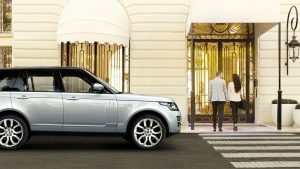 The Range Rover also does not considered unique vehicle in UK and the regular availability makes it obvious to import a range rover from UK. In fact, many people are unaware that UK is also the best place to import a used Rage Rover. Used Range Rover import from UK can be a better option than buying a brand new Range Rover from your local market. United Kingdom used cars for export demand is raising and used Range Rover is one of the most popular used cars in England for export. It is said to be the best option, because used Range Rovers in UK are available in a better condition at much lower price than anywhere else. Most importantly, buying a used rangerover from UK do not let you bear any heavy maintenance costs, due to availability of range rover parts from UK at very competitive price. Wide variety of models of used Range Rover for sale in UK is available for export for anyone who wants to own the top luxury SUV at competitive cost. Finding a used range rover in UK for sale is not difficult at all. When searching for a range rover export company in UK, make sure to select the right one. UK Auto Exporters can find and ship any brand new or used Range Rover of your choice. UK Auto Exporters can also help you to find any new or used parts for Range Rover from UK.